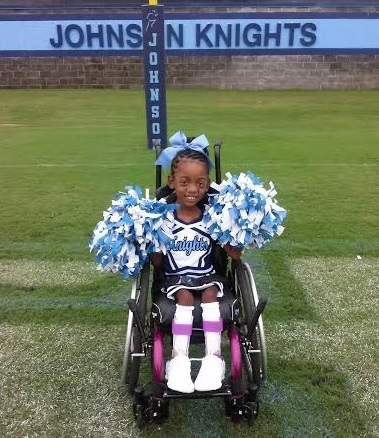 In February 2011 Zyah was diagnosed with a life threatening disease called Spinal Muscular Atrophy (SMA) Type 2. It is a genetic condition affecting the part of the nervous system that controls voluntary muscle movement. Doctors have said life expectancy of someone with SMA is about 20-30 years old depending on the type they are diagnosed with. Zyah has a GI tube because she can't eat by mouth due to her muscle weakness and is wheelchair bound. She has had many hospital stays due to a cold or pneumonia simply because she doesn't have enough muscle tone to cough up her secretions. Though battling this disease is hard, Zyah is a very loving and savvy child, so please come out and help us run for a cure for Zyah.